Is the world tired of ‘hunting’ genre games yet? Not a chance if the recent success of Monster Hunter World is anything to go by. It’s been just over a year, but an engine upgrade, a few quality of life tweaks and some decent promotion worked wonders for Capcom’s latest, springing it towards record-breaking sales for the company. 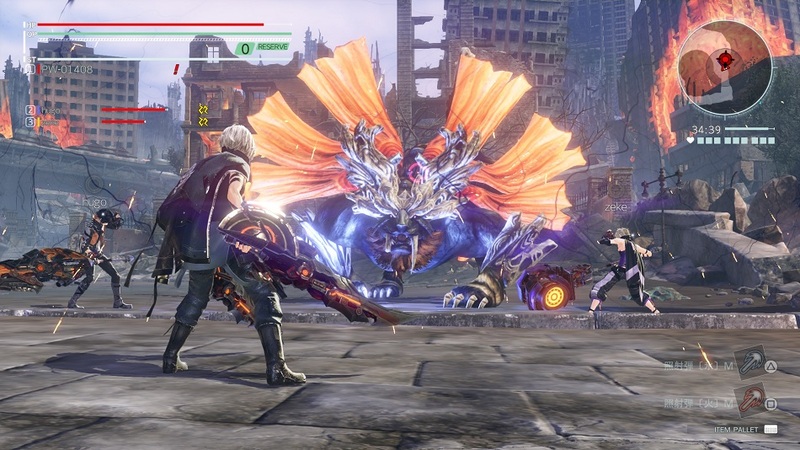 It’s strange that more devs haven’t tried to challenge that behemoth’s dominance, but Bandai Namco’s God Eater series is still up for the challenge with the release of their latest – and indeed, greatest – iteration so far. In traditional ‘hunting’ genre style, players form teams of up to four God Eaters and head out to destroy monstrosities known as Aragami. 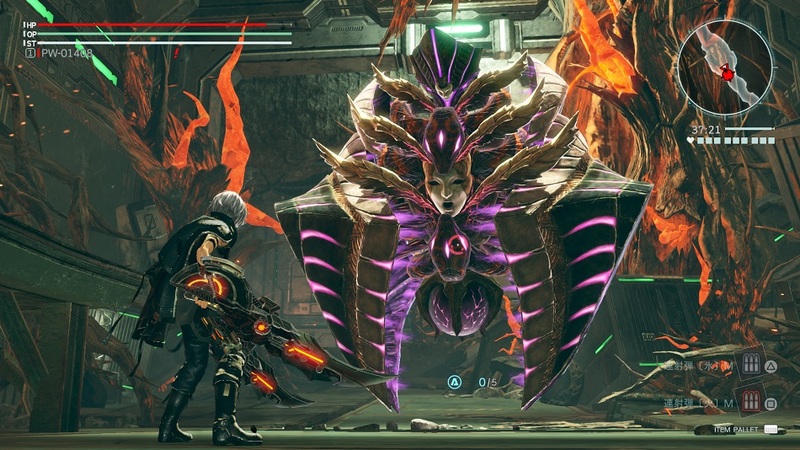 While there are smaller enemies prancing around, the core of the series (and others like it) is and always has been centered around felling huge beasts and using their remains to upgrade gear. Upon starting a new game, players will be asked to create their own character – named ‘protagonist’ by default, amusingly enough. The character creation system is pretty nifty – I had an awesome-looking character cooked up in about five minutes, and the new graphical style overcomes some of the technical shortcomings to deliver a game that looks pretty damn good in places. It’s a small thing, but a welcome one. As usual, players are given access to a large arsenal of weapons when starting out, everything from giant swords to hammers and scythes, as well as various guns and shields that can be hot-swapped on the battlefield. Given that I always choose the hammer in these types of games, I thought I should change things up a little and opted instead for one of the new armaments. I picked the Half Moon, a curved blade wrapped around a large handle. It’s a neat addition to the lineup, allowing slick transformation between swift attacks and heavy, crushing blows. General mobility in battle has been upgraded since the last GE, with characters able to dash around the arena in short propelled boosts. It’s a great addition, as it not only looks and feels cool, but also cuts down on pointless running around when searching for mission objectives and items to collect. As for the combat… it’s fine, though shallower than experienced hunting genre fans might wish. There’s not a great deal of nuance to the fighting despite the methods available – dodging through attacks and whacking at an Aragami’s weak spots is the order of the day. Once a piece of them breaks off and they fall over, it’s time to perform out the most damaging attacks to get the most damage in before they recover. In the Half Moon’s case, this involves transforming it into a massive chainsaw axe and getting stuck in, which honestly feels pretty great. 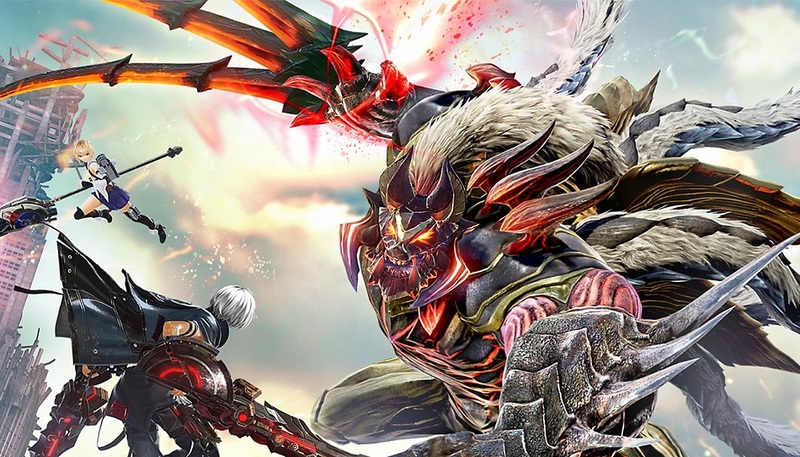 There are also enemies known as Ash Aragami, which have a new trick up their sleeve – they can devour God Eaters and upgrade similar to the way players upgrade from Aragami. If one of their telegraphed attacks lands, the creature will massively power up for a short time. During this period, it’s entirely possible to be downed in one hit, and it forces a respawn on anyone unlucky enough to get nailed by a killing blow. 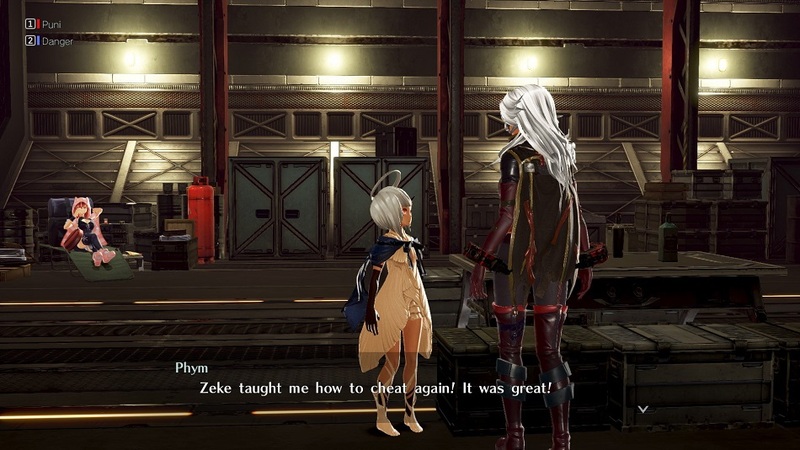 It’s a great addition, and I wish there were a few more twists like it on the basic God Eater formula. There are also new Assault Mission types which allow up to eight players to perform a five minute blitz operation on superpowered enemies. Inexplicably, these short, vicious battles can’t be entered as a group whilst in multiplayer, requiring players to first disconnect from other players in order to… join other players. Any open slots on the character entry roster by the end of a thirty second countdown timer will be filled with bots. Apart from the weirdness of joining an Assault, it feels slightly undercooked, and more like a little bonus thrown in for variety than a legitimate additional mode given the brevity of a run and how similar they all are to one another in execution. Eight player raids could have been great, but the experience is over far too soon to be even halfway meaningful. 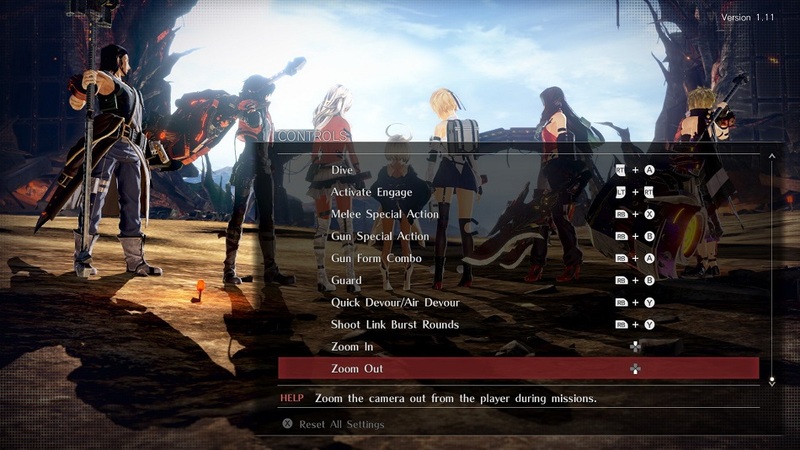 Another area where God Eater 3 fails to impress is that it’s dreadful at teaching new mechanics, and buries them under an excess of pointless in-world jargon that only obfuscates the meaning. It’s not just the small details that seem fuzzy — the core mechanics are often mystifying at first. Link Arts, Burst Arts, Burst Plugins, Acceleration Triggers… these are some of the simpler ones, but they’re rarely explained in any detail before players are expected to know how to use them, and when. For instance, Burst Arts can be assigned to certain attacks in a separate menu, but the additional effects only activate during a devour or linked burst phase. It’s a simple concept once it’s properly explained, but since it’s dropped on players in an almost throwaway manner, it takes time to figure out. I liked God Eater 3 more than I expected to. It may be a fairly shallow and repetitive experience, but downing a colossal foe and carving the bastards up as a crazy J-Rock song springs to life in the background is pretty damn cool, especially when experienced with likeminded friends online. While it might not satisfy genre aficionados looking for something new, Bandai Namco has mapped out some free updates for the future, and it’s an easy recommendation for anyone who liked the previous entries – not to mention a great starting point for anyone interested in checking out what the series is like. Disclosures: This game is developed by and published by Bandai Namco Games. It is currently available on PC and PS4. Two copies of the game were obtained via publisher and reviewed on the PC alongside a friend. Approximately 40 hours of play were devoted to the multiplayer mode and the game was completed. Two copies of the game were obtained via publisher and reviewed on the PC alongside a friend. Parents: According to the ESRB, this game is rated T and contains Blood, Mild Language, Suggestive Themes and Violence. Honestly, it’s generally pretty tame despite the cartoonish splashes of blood when devouring enemies. Oh, and Hilda has some amazingly large breasts. Y’know, just pointing it out for anyone fearful of substantial mammaries on videogame characters. Deaf & Hard of Hearing Gamers: I doubt there’d be much problem here, There are a lot of visual aids during battle, and subtitles which detail important in-battle events. Yeah, I’ve been hearing how God Eater 3 capitalizes on the Monster Hunter World formula. It’s just that some cool games paved the way to the creation of some more cool games. I find God Eater 3 basically just a living and breathing playable anime.